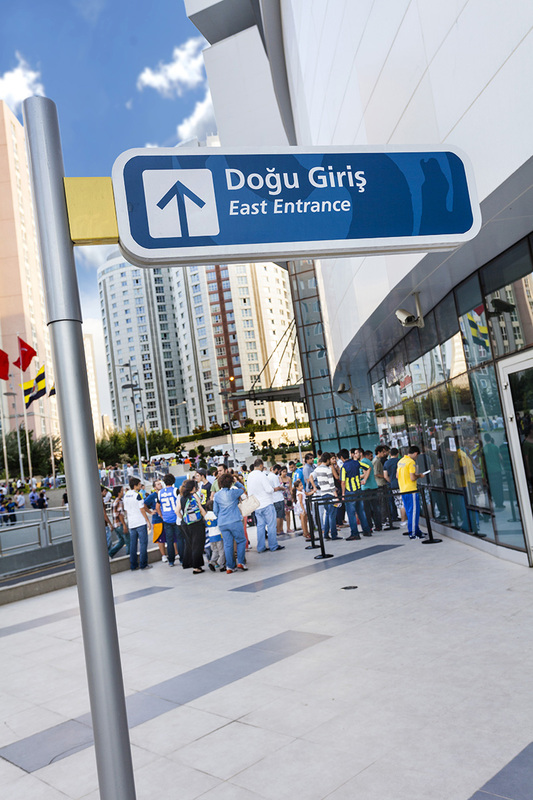 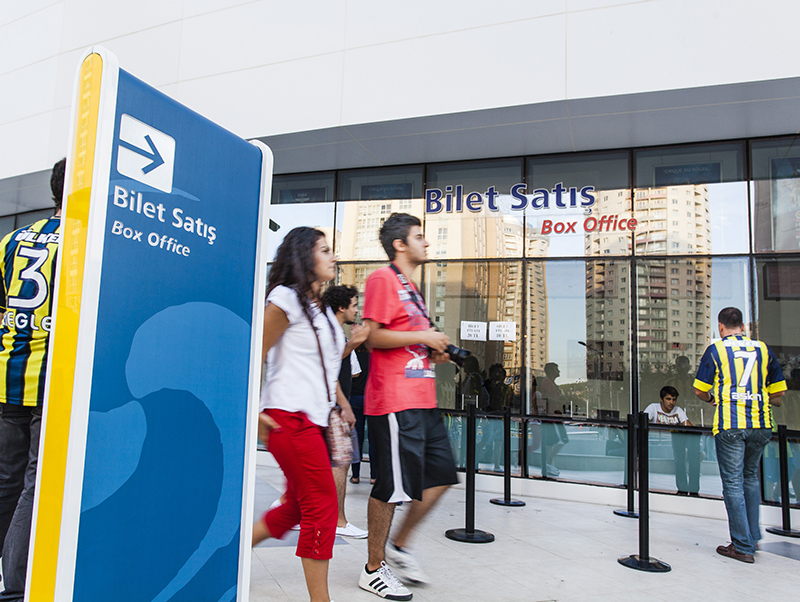 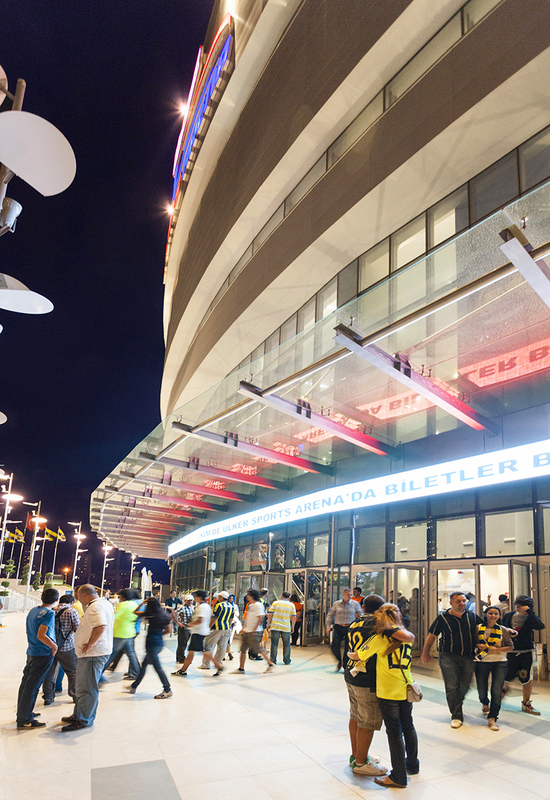 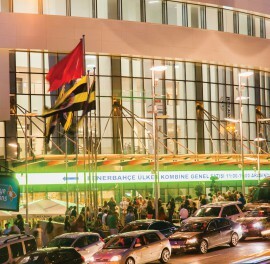 Ülker Sports Arena is an energetic destination that is a place for the celebration of the Fenerbahҫe basketball team. 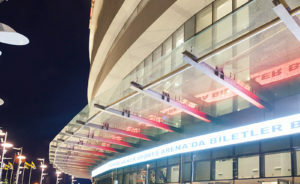 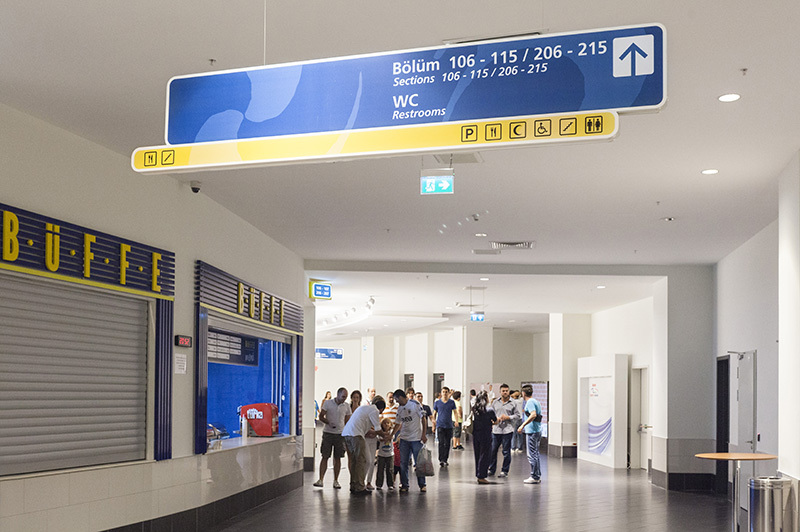 The focus for the arena was a successful wayfinding program that works cohesively to direct ticket holders once they enter the site of the arena all the way to their seat. 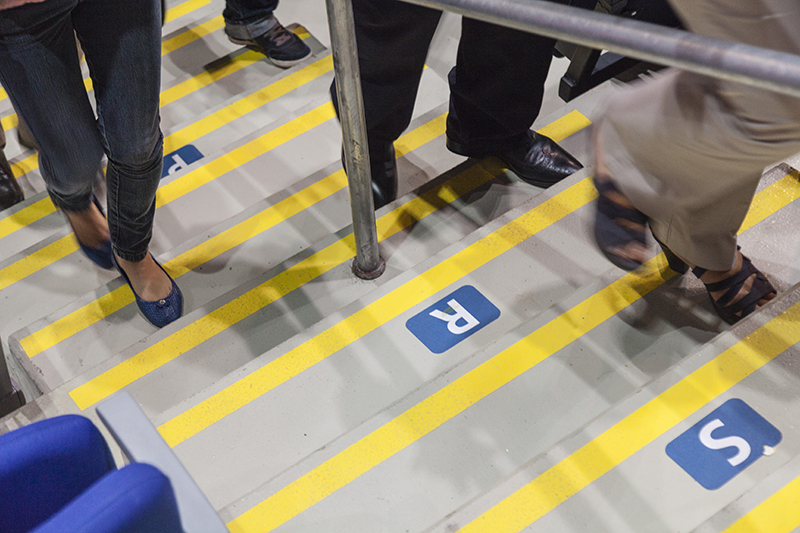 Many studies of typography, iconography and color where done to assure the signage was appropriate for a sometimes frenzied environment where fans are rushing to their seats. 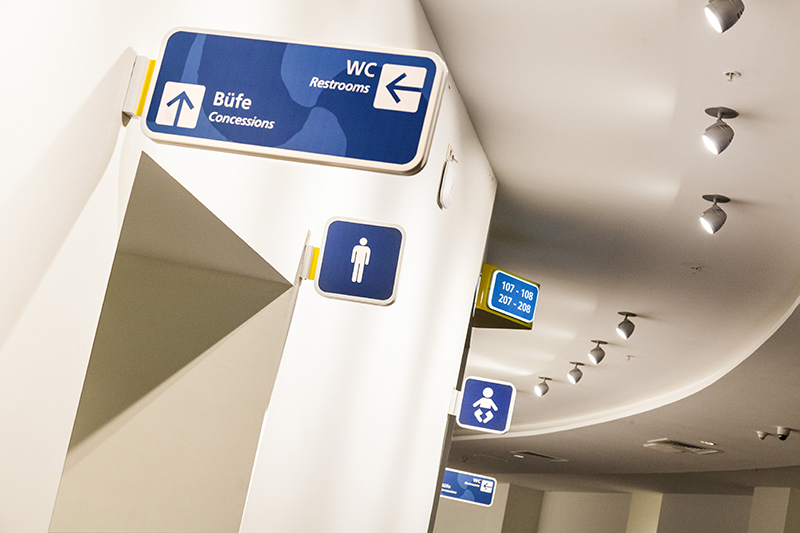 Many sign types of various materials and scales were needed to properly guide people through multiple decision points in the project. 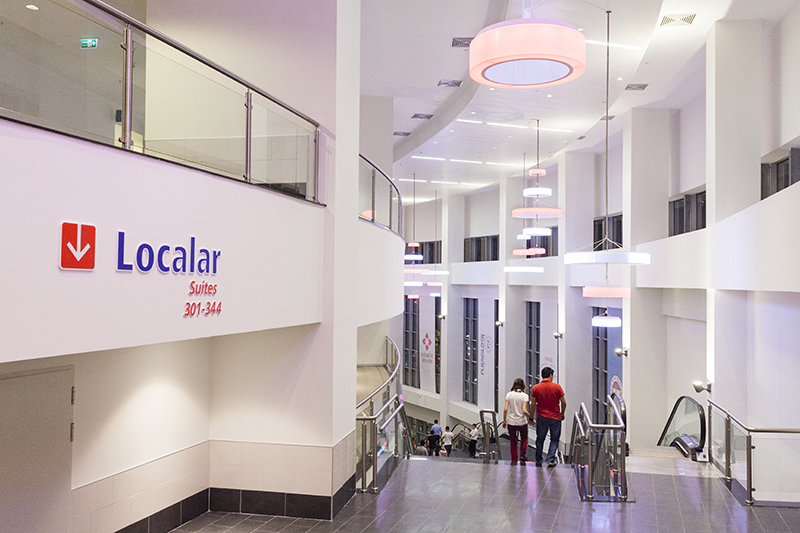 Large media walls were also a part of the building’s architecture that celebrate the team’s history and victories over the years. 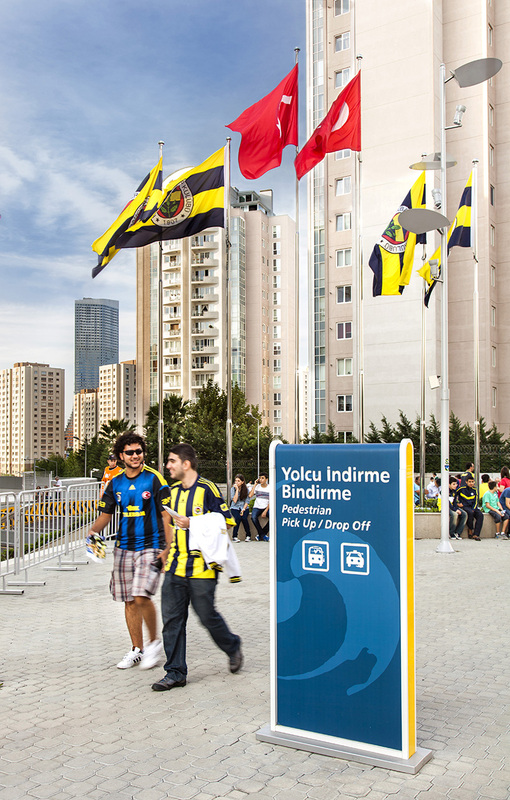 Many other decorative items were also developed to incorporate advertising while still branding the space with the team’s colors to excite the loyal fans.